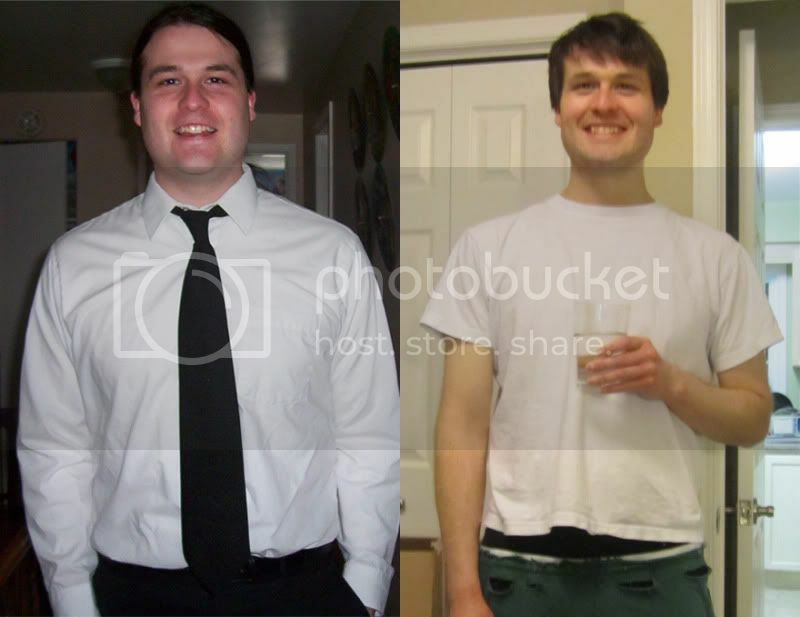 my fiance doesn't use fitday but i thought i'd share his success. the pic on the left is from 08 the right is today. not exactly sure but he's lost 60-70 pounds. for him it was mostly eatting right and eatting less, he was a big eatter not so much now. Last edited by yunalee; 01-13-2012 at 01:18 AM. Awesome! And it looks like you're doing pretty well yourself--congrats to both of you. Awesome job, you tell him I said so. Wow, he looks maybe 10 years younger! You are also getting there, maybe you should take some pictures of your progress? Believe me it's a motivating experience to see side by side shots of yourself at different weights. yeah i should take some more pics.